This post is in collaboration with Bob's Red Mill. Thank you for supporting the brands that support this blog! Shopping around the holidays is madness. I always forget that until I go to my medium-busy grocery store in November and December and it is jammed with people buying cans of cranberry, stocking up on chocolate oranges, and buying boatloads of peppermint ice cream. I think the amount of people who frequent the grocery store triples during these two months. Seriously. It is the worst. I still want to fit in my pants by the end of December, and my grocery budget doesn't deserve a holiday break (even if it deserves to be on Santa's nice list this year), so I take extra care not to bring home way more food than we need. I carefully plan for parties, outings, and holiday dinners, and splurge on the important stuff, because I save on most everything else. 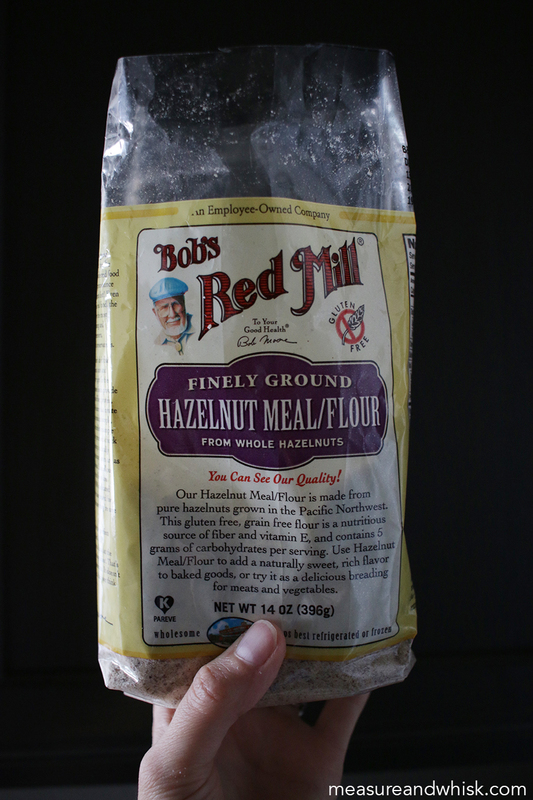 Because of this, I love companies like Bob's Red Mill, that sell small bags of their products so you can use them in just a few recipes. I don't have to break the bank buying 25 lb. 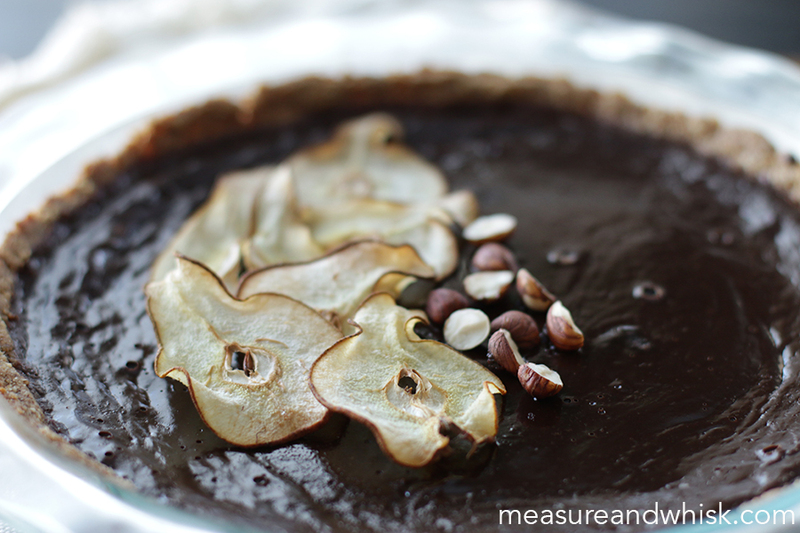 of hazelnut meal (although they sell those, too), and I have just enough to make this delicious pie and a few batches of my healthy-ish chocolate hazelnut truffles (check back for that recipe next week). If I want more, I can always get another bag. 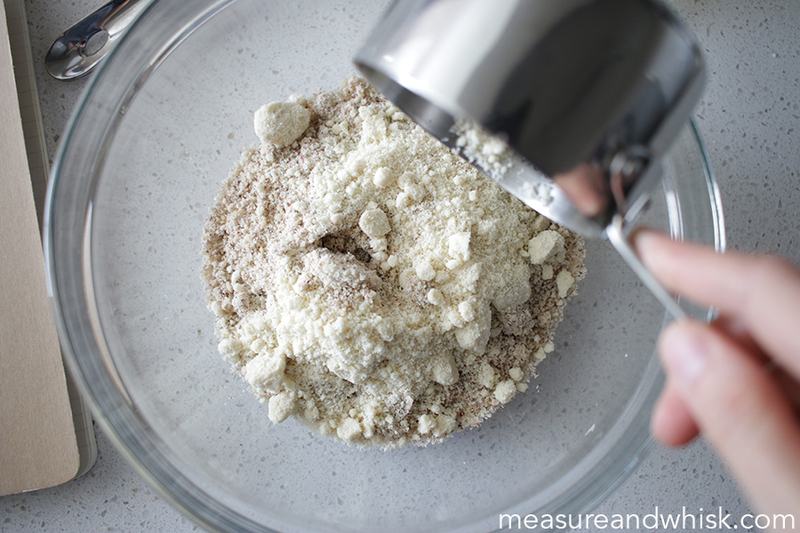 But in the holiday rush, I don't have to worry about forgetting about my flour and letting it spoil (hazelnut meal has a relatively short shelf-life that can be extended by storing in the freezer). During this lovely season of the year, I hope you treasure the good things that life has to offer. Buy quality ingredients. Don't buy more than you are able to use. Find clever and delicious ways to use up the extra so you don't have to throw it out. That is what I will be doing this year, and I think my holiday season will be better for it. Here's to an intentional holiday season! *A few notes about the pie itself: Everyone wants a real winner for dessert on Thanksgiving. As much as people come to eat turkey, stuffing, and mashed potatoes, the main event is actually dessert, right? This pie is sure to be a favorite. 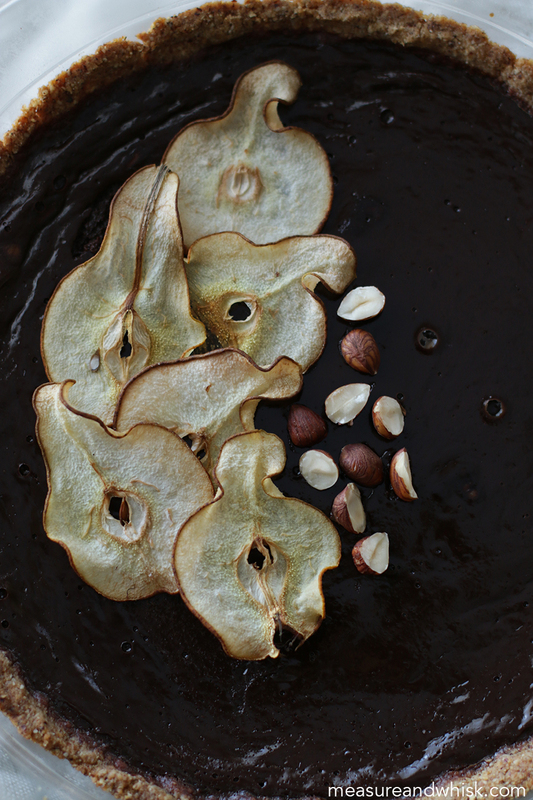 Rich chocolate, a sweet, salty hazelnut layer, a crispy buttery crust, and some lightly-chewy, dried pears on top. It is really the perfect combination. 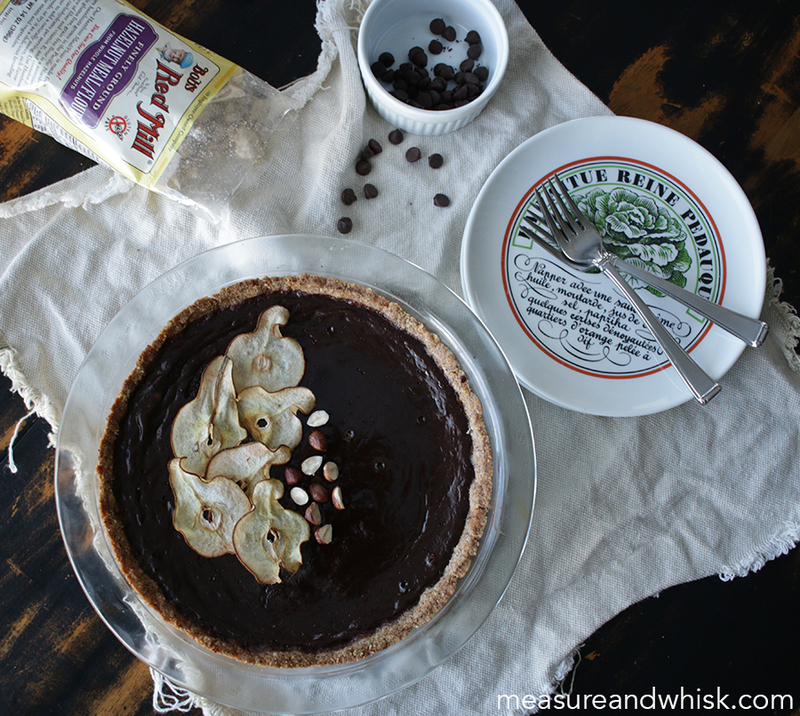 It is best to make this pie the day before, because it tastes great right out of the fridge. 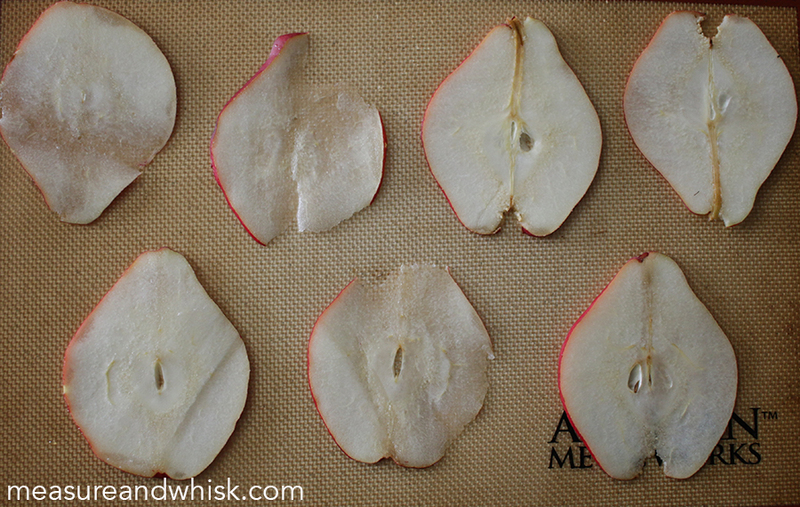 You can also substitute in something else in place of the dehydrated pear, if you like. I think dried apple chips, chocolate chips, or whipped cream would taste great on top of this pie, so feel free to alter it, if you don't have oven time to dehydrate your pears for 2 hours. Don't worry; I get it! And if you accidentally eat it all straight out of the fridge the day before, I will totally understand, because embarrassingly, a few of our pies have been eaten in less than 24 hours (and just by the three of us!). 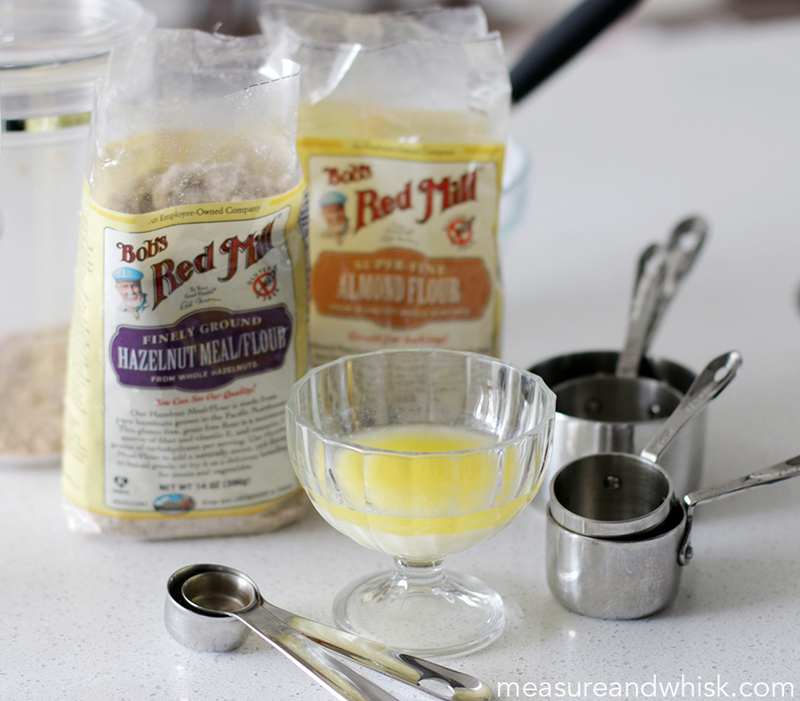 Combine Bob's Red Mill hazelnut meal and almond flour in a bowl. Mix until the flours are evenly distributed. 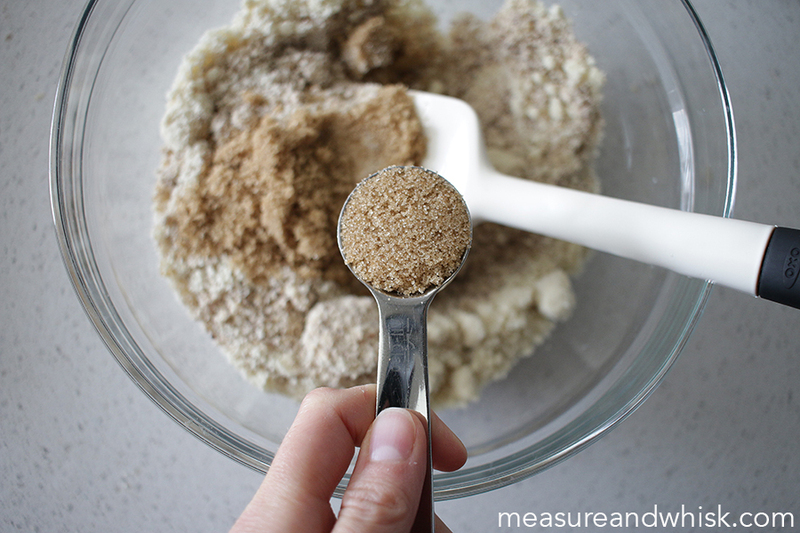 Add some brown sugar to the bowl. Combine until you have a soft dough. Flute the edges if you like, or stop the pie crust right before the lip of the pie pan. 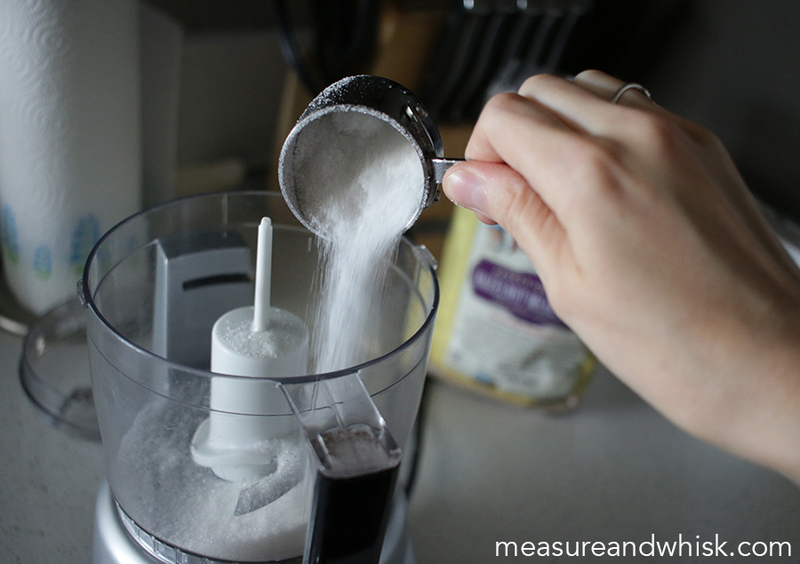 In a food processor, combine hazelnut meal, sugar, oil, and salt. 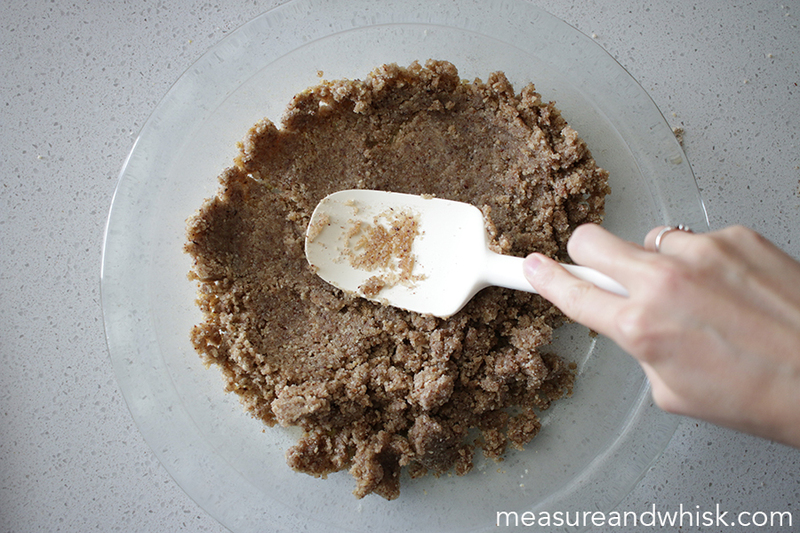 Mix until a thick paste is formed (should be wetter than the pie crust). 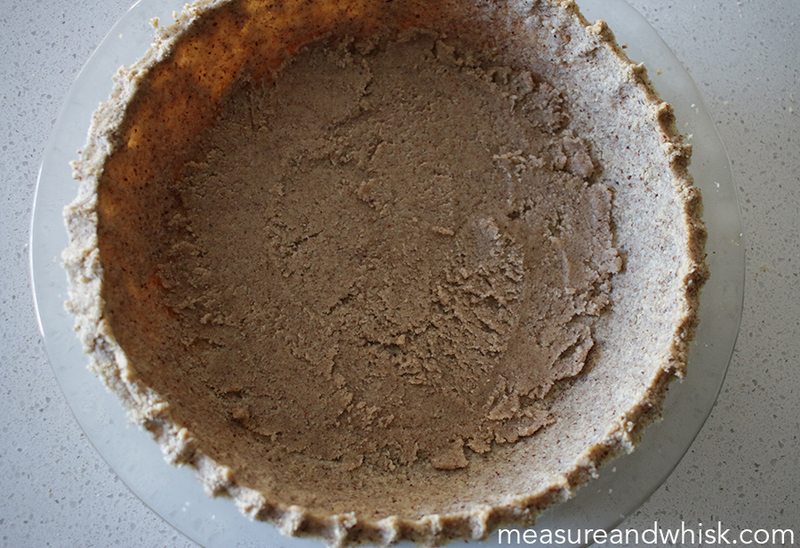 Spread your paste across the bottom of your cooked pie crust (see directions at the bottom for baking the pie crust). In a saucepan, combine milk and cream, then heat until they begin to steam. Remove from heat. 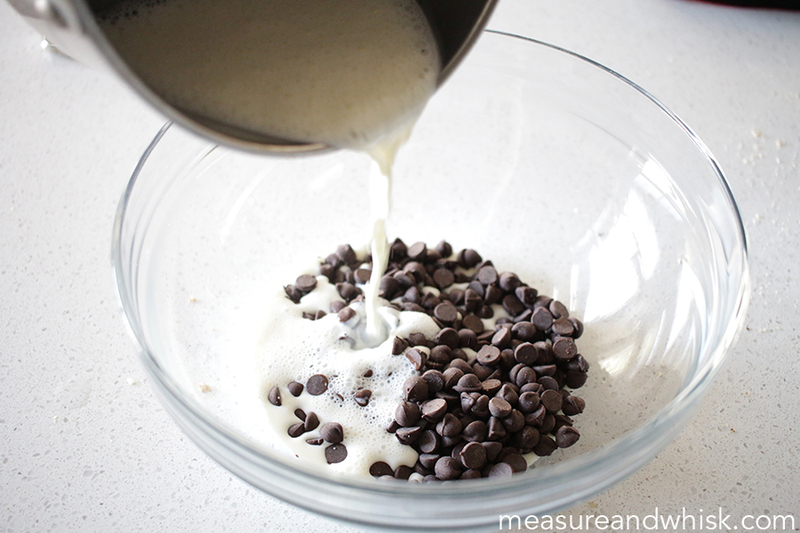 Pour your warm milk over your chocolate chips and mix until the chocolate is melted. 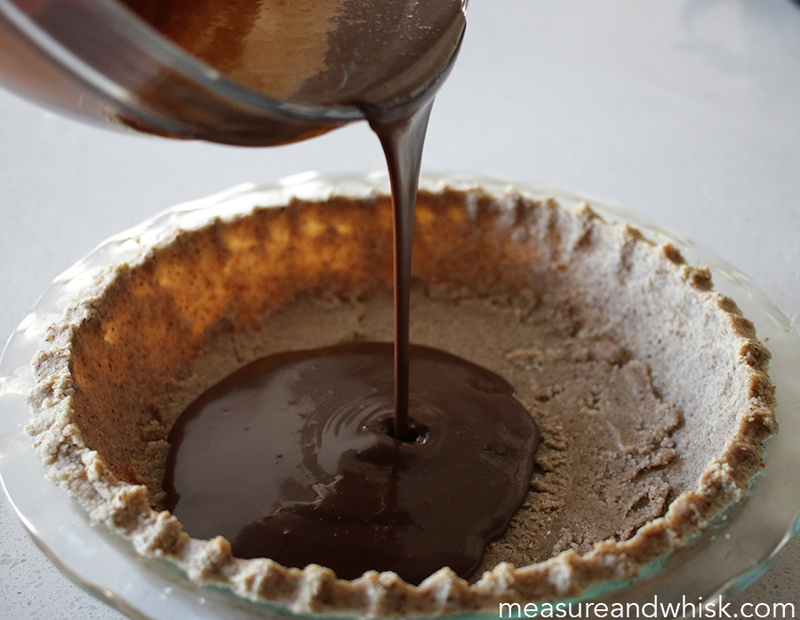 Pour chocolate mixture into pie crust over the hazelnut spread layer. Bake for 60-70 minutes at 300°F. 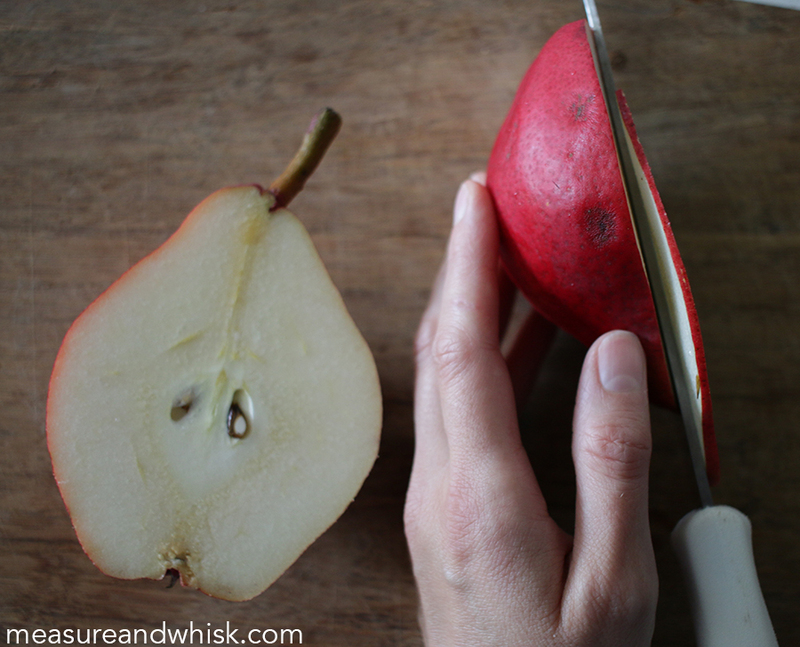 Thinly slice the pear, cutting straight down the middle, removing the seeds as you go. Bake for an hour or so until the edges are crinkly! 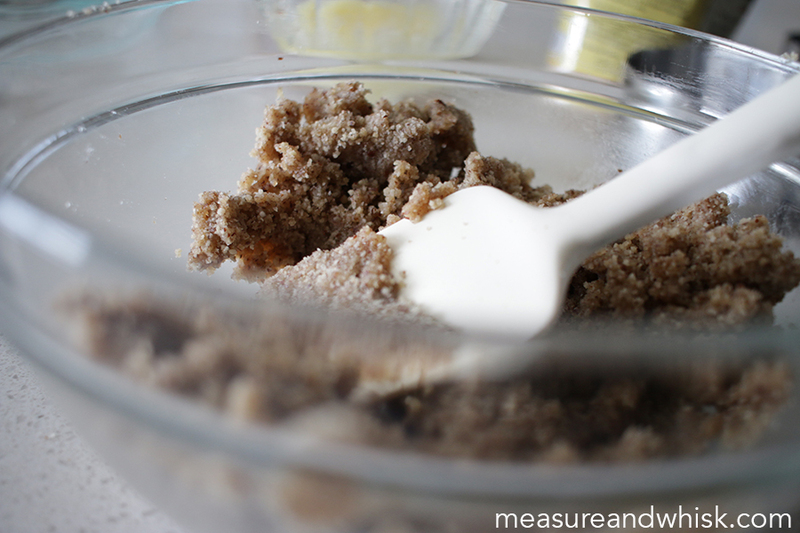 In a medium sized bowl, combine the hazelnut meal, almond flour, and brown sugar. Add melted butter and stir until a dough forms. 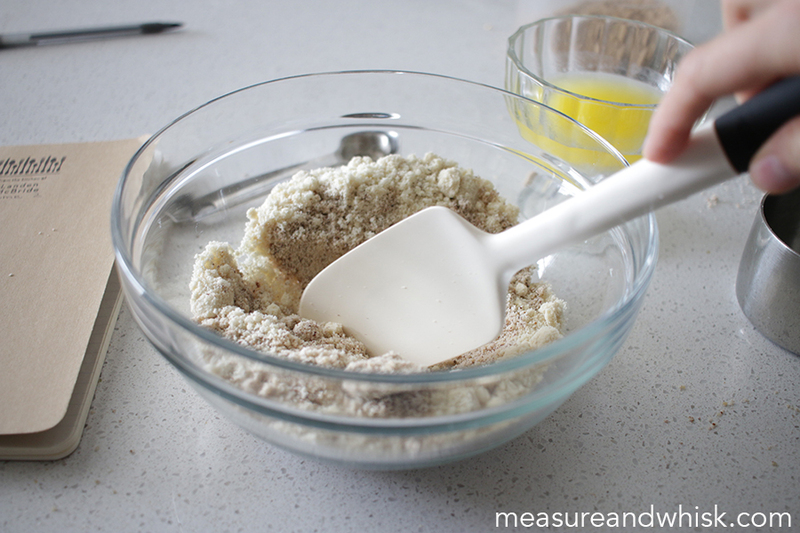 Dump this soft dough into a pie pan and spread it with a rubber spatula until it is an even layer. You can push the dough up over the edge of the pie pan, or you can stop the crust when the pie pan flares out. I have done it both ways, and either way is fine. 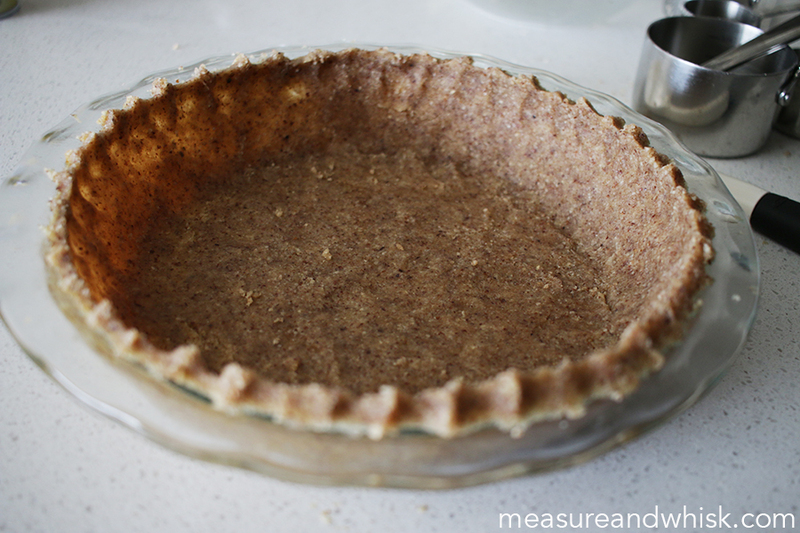 Refrigerate your pie crust for 30 minutes, then bake it in the oven for 15 minutes at 325°F. Remove and set aside to let cool. 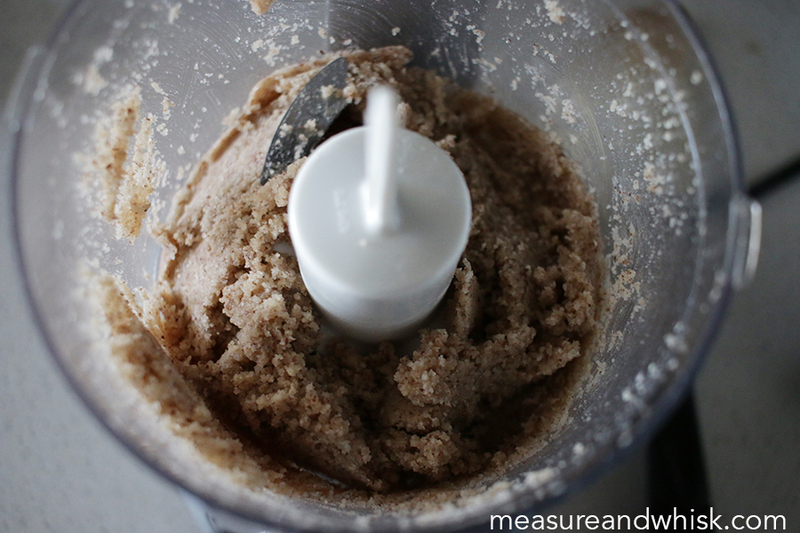 In a small food processor, combine the hazelnut meal, sugar, and salt. Mix briefly, then add the oil, a few teaspoons at a time, until the mixture looks like a thick paste. You may need to let the processor run for 2 or 3 minutes to allow the hazelnuts release the oils. 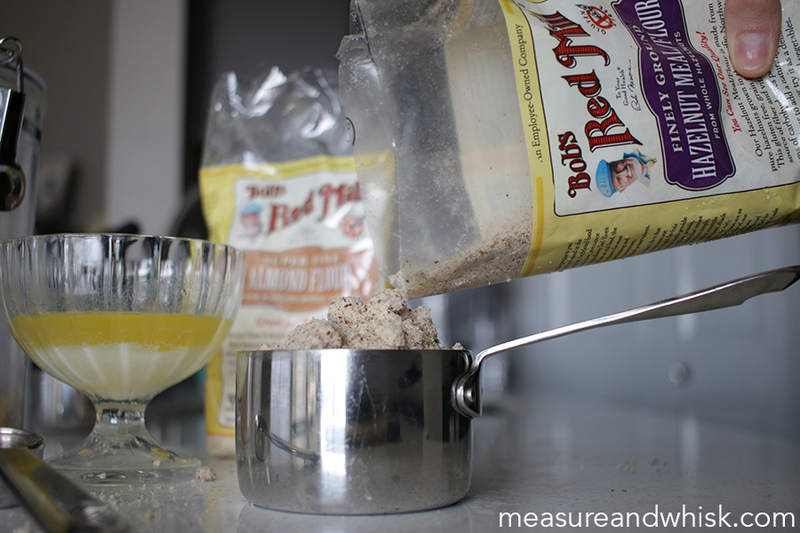 Spread this mixture on the bottom of the cooked and cooled pie crust. 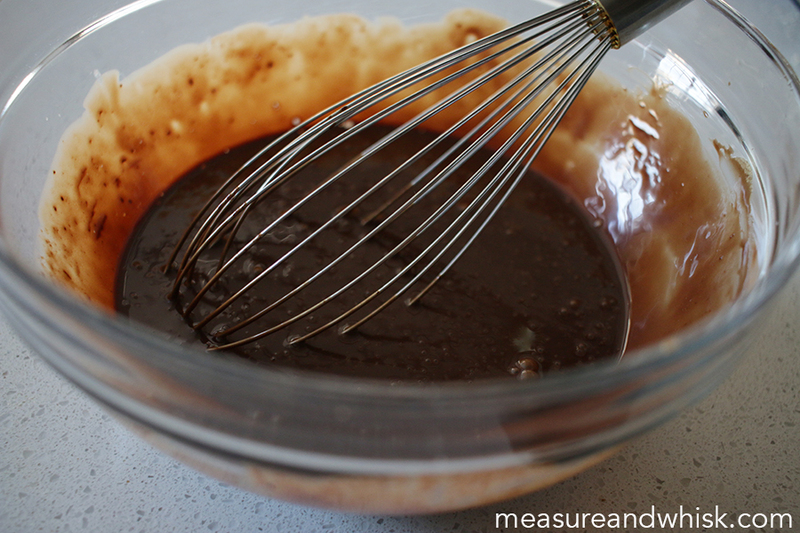 Pour chocolate into a medium sized bowl. 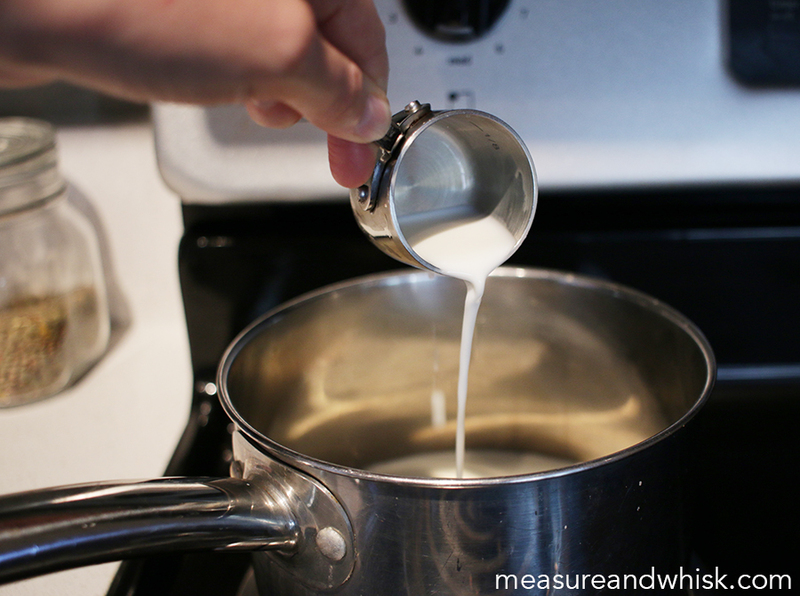 In a saucepan, combine the cream and milk and heat until it just begins to steam (do not let it boil!). Remove from the heat. Immediately pour over the dark chocolate and stir until the chocolate is all melted. Then add the eggs and stir for 30 seconds to a minute until you have a thick custard. Pour the custard filling into the pie crust, and place in an oven preheated to 300°F for 60-70 minutes, until the custard has just set, and is no longer sloshy in the middle. Remove from the oven, cool for 20 minutes, then refrigerate until you are ready to serve it, up to 2 days. When you are ready to serve, top with dried pear slices and toasted hazelnuts. Preheat your oven to 300°F. 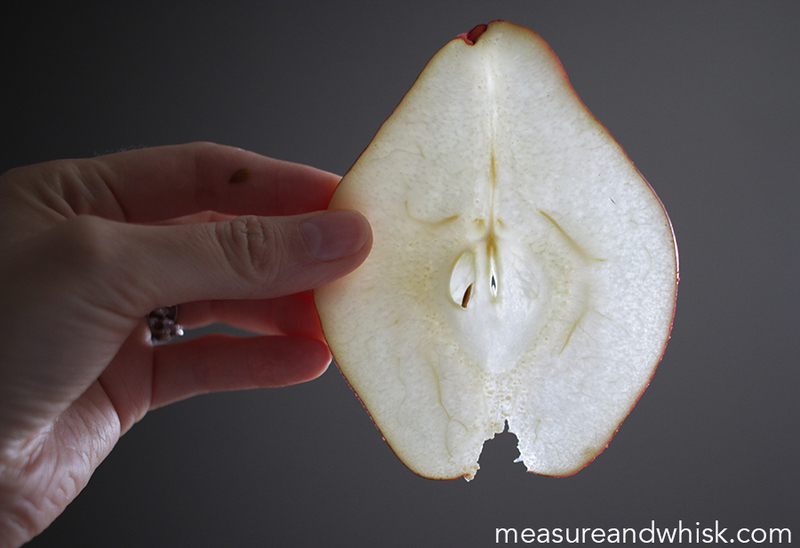 Slice your pear very thinly straight down the center, removing any seeds, and the woody part of the stem. Place on a silicone mat so that the pieces don't touch each other. Place your pears in the oven, and turn the heat down to 170°F for 1 hour. Check on your pears. If they have not begun drying out, keep cooking them until the edges begin to curl. Remove from the oven, let them cool for 30 minutes, and set them on the pie for serving.